According to the most recently published data from the"New 7 Wonders of the World" election the Great Wall of China has been selected one of the 10 Top candidates but may be left out of the final winning 7 monuments, which will be officially announced on July 7 this year in Portugal's capital city, Lisbon. The news concerned a lot of Chinese people, attracted media attention and spurred the China Great Wall Society's calling for voting for the Great Wall. Yet, does the Great Wall's status as a splendid cultural heritage really need to be proven through such a contest? 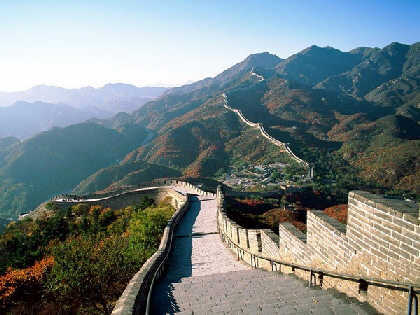 Looking beyond the ongoing "New 7 Wonder of the World" election, people should see where the real significance of the event lies and what we should do means most to the Great Wall - the symbol and pride of Chinese culture. The "New 7 Wonders of the World" election is an event first initiated by the Swiss non-governmental organization (NGO) New 7 Wonders Foundation with the goal of presenting as many cultural marvels as possible while promoting awareness of the diversity of global culture, rather than focusing on the results of evaluation by academic standards. The original "Seven World Wonders of the World，" compiled 2，000 years ago by the Greek philosopher Philon, included the Great Pyramid of Giza, the Lighthouse of Alexandria, the Statue of Zeus at Olympia and the Colossus of Rhodes, along with the Hanging Gardens of Babylon in modern-day Iraq, the Temple of Artemis at Ephesus in modern-day Turkey and the Mausoleum at Halicarnassus. But Philon never recognized the wonders contained in ancient China since he had not been there.